As industry leaders, Manntech have built a reputation as specialists in developing custom facade access solutions to meet the maintenance needs and preserve the appearance of the most unique and iconic buildings in the world. 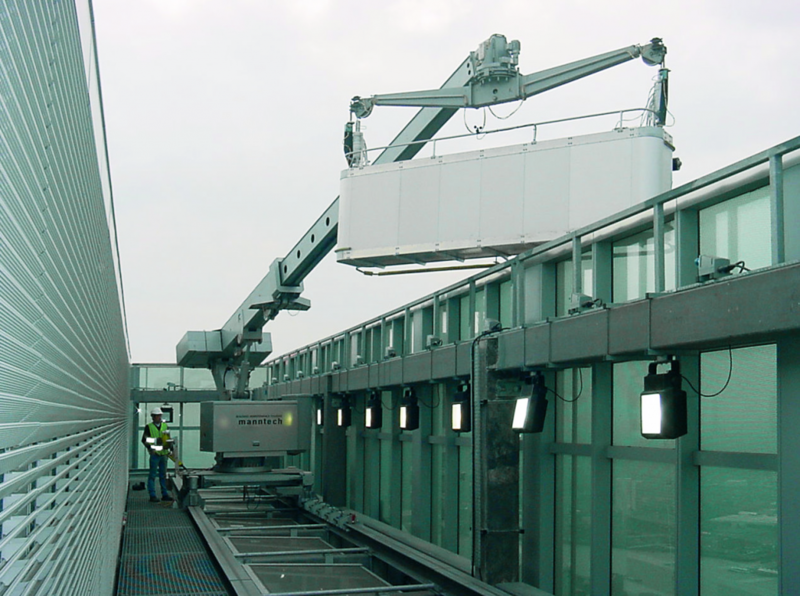 Across a long history stretching back over 60 years with more deployed solutions than any other provider, Manntech have an extensive portfolio of innovative access systems which satisfy the requirements of the boldest architects. Often, this involves developing tailor made access systems which provide for all the practical needs of the building in terms of coverage and functionality while also avoiding any negative impact on the architectural design. Perhaps the most ingenious and cohesive approach to achieving this precise balance between function and aesthetic is to turn the challenge into the solution. In a wide range of projects across the globe Manntech have designed and manufactured systems which intelligently utilise the all-important architectural features of the building to conceal the Building Maintenance Units. The Exchange 106 is not only the tallest building in Kuala Lumpur, having overtaken Petronas Towers, but also one of the most eye-catching and important structures in the city and the region as a whole. One of its defining features is the unique illuminated crown which in itself reaches 48 metres and covers 12 storeys. This is serviced by a single Building Maintenance Unit with a reach of 23.5 metres. In combination with luffing and slewing movements, the telescopic jib allows the BMU to navigate the challenging features and to manoeuvre into a compact position where it is concealed from view within the centre of the crown. A further three BMUs are also concealed within the side of the building to service the entire facade. 20 Fenchurch Street is affectionately known by Londoners as ‘The Walkie Talkie’ and its distinctive curving, top-heavy design by architect Rafael Viñoly has quickly become a defining feature of the London skyline. This instantly iconic addition to the cityscape called for a comprehensive facade access solution which would not detract from the characteristic lines and shape of the building. In response, a unique system was developed utilising a pivoting, variable level platform in order to navigate the curving roof. Three of the Building Maintenance Units that make up the complete solution also run on tracks integrated with fins on the roof and are designed to be parked in a hidden position between the fins. Aurora Place in Australia overlooks the world-famous Sydney Harbour and is well known for a highly unorthodox form which echoes the sails of ships in the harbour and the design of the Opera House while also creating a bold, modern statement all of its own. The building is defined by a larger freestanding sail-shaped structure and a smaller ‘corner sail’ which overlap and slope on both the horizontal and vertical axis. The project called for a Building Maintenance Unit that was completely hidden in a parking area with very limited space. This was achieved with a BMU which provides a telescoping and luffing jib in addition to a telescoping pedestal for vertical movement which allows the unit to retract and descend down between the sails.